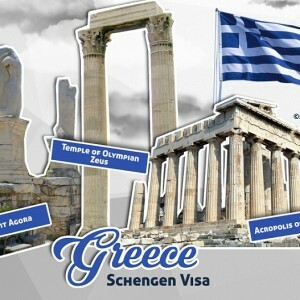 As a U.S. citizenship holder, you do not need to apply for a Greece Schengen Visa! You are allowed to travel to Greece and to all other members of the Schengen Area for up to 90 days for tourist or business purposes without a visa, as long as your U.S. passport is valid for at least 3 months after your planned return to the United States! As the European Commission communicates, since 24 December 2007 with the Common Ministerial Decision No 3021/22/10-f, all foreign nationals, are obliged to attest possessing an amount of 50€/day and a minimum total amount of 300€ /stay up to 5 days. *Note: A reduction to 50% of the regular amount applies to minors. U.S. Official and Diplomatic passport holders must obtain a Greece Schengen Visa prior to arrival. You will not be allowed to enter Greece without a visa. U.S. Permanent Residence Card or U.S. visa holders (except for B1/B2). You may also contact the relevant Greek Consular Authority in the USA for further information. Consulate of Greece in Atlanta (tel: 404-261-3313). A valid passport or Travel document. (Please make sure: (i) your passport has been issued within the previous 10 years, (ii) that your passport will be valid for at least three (3) months after the date you exit the Schengen Area). W-2 forms for the last 2 years. Official itinerary with closed dates of travel. Travel Insurance stating that you are covered in case of a medical emergency and repatriation in Greece and in the Schengen Area (minimum coverage of € 30.000). Submit a letter from the bank that you do business with, stating that the company is in good standing. If you are invited by a friend or family member you must submit: a letter of invitation (affidavit) signed by the person who is inviting you and notarized by the appropriate Authorities in Greece. If you are travelling on business you must submit business references. The Greek Consulate Authorities in the USA accept only cash and money orders. For Greece Schengen Visa Fee please click here. * The visa is issued free of charge to all spouses of Greek or EU citizens. The Greece Consular Office reserves the right to ask for further documentation, in addition to the above mentioned. The applicant has to provide a set of photocopies of the above original documents. All visa applicants must appear in person in order to submit their application at least two weeks prior to their trip. Once the visa has been approved and issued, we can mail your passport to your residence if you provide us with a prepaid express envelope only from the post office (FEDEX, UPS, DHL etc). Minor children cannot apply for their own visa. Both parents have to give their consent in person.